Students from Ebbw Fawr Learning Community Secondary Campus, who are our Business Class partners have been crowned winners of the Eden Robotics ‘Green Living’ Challenge hosted by Careers Wales, Business in the Community (BITC) The Eden Education Centre and sponsored by Coleg Gwent and Merthyr College. Teams of Year Eight pupils from schools across Blaenau Gwent and Merthyr took part in the contest. The event was delivered under the Business Class programme, a BITC scheme funded by the Welsh Government and delivered by Careers Wales, which aims to forge links between employers and schools. Pupils from 7 schools competed in the competition, during which they were partnered with business representatives who guided and supported them during the tasks. The pupils were tasked with programming a robot in the ‘Green Living’ challenge. Working in teams, the activities were designed to help pupils strengthen their interpersonal, organisational and communication skills in addition to programming and building robots. The day culminated in presentations given by each team, where pupils introduced their team, and explained their design and the rationale behind it. The students also had to demonstrate an understanding of the environmental implications when presenting their ideas. The aim of the event was to highlight the range of career paths within science, technology, engineering and maths (STEM) and challenge stereotypical perceptions of the industry. It also helped to improve the youngsters’ understanding of the wider world of work, the career choices available to them and how they could build on their employability skills. 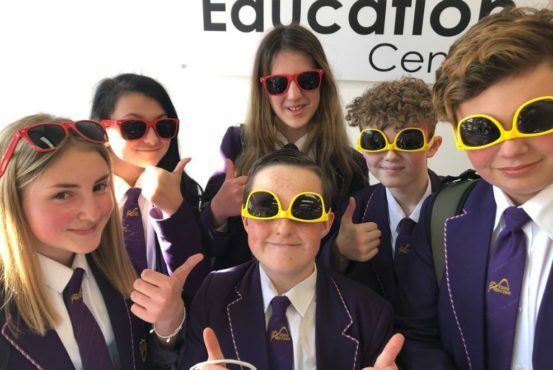 The schools participating in the challenge included Abertillery Learning Community Secondary Campus, Brynmawr Foundation School, Bishop Hedley High School, Cyfartha High School, Pen-y-Dre High School, Afon Taff High School and Ebbw Fawr Learning Community Secondary Campus.